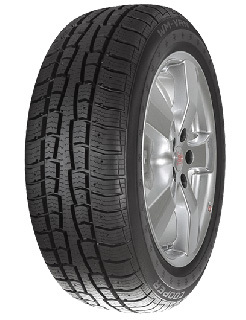 The Cooper WM-Van is a premium winter van tyre ideal for popular van fitments. Designed with a specialist compound that features a high content of silica, the Cooper WM-Van is optimised to deliver excellent traction in wet and cold conditions, resulting in excellent winter safety. This tyre also provides superior levels of safety in ice and snow thanks to specialist studable tread blocks that deliver outstanding traction and Cooper’s patented Snow Groove™ Design which enhances the tyre’s gripping capabilities.